Seoul-based indie music collective Loose Union is launching its first 17-track compilation of local artists two years after it first formed. The mixtape includes songs from 17 Korean and expat artists, including all seven bands that Loose Union officially works with, and will be available on CD at the showcase and eventually streamed online. Loose Union cofounder and Used Cassettes member Danny Arens said that the CD would not be available for purchase due to rights issues, he said. “We are doing it more just to spread the music out there rather than doing it for a profit,” he said. 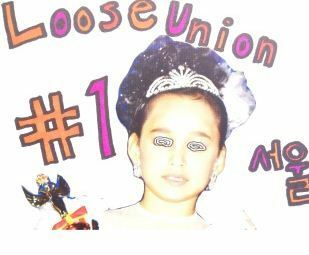 Although Loose Union releases albums and holds events and promotions for the bands involved in Loose Union, the collective is not a company. Many, including his own band, have separate deals with other labels. “We kind of encourage that. It’s why it’s called Loose Union,” he said. A concert featuring nine of the artists on the compilation will be held Saturday in Hongdae, where people will be able to pick up a CD copy of the record for free. In addition, a camera crew will be attending the show to film footage for a short film for Vans’ “Off the Wall” documentary series. “Vans had contacted Loose Union to show interest in what we’ve been doing in general,” said Arens. He said that one of the subjects for their documentary would be Lee Ah-reum, the lead singer of Juck Juck Grunzie. Other bands playing at the mixtape showcase include Love X Stereo, The Strikers, Les Sales and The Killer Drones. Limited edition T-shirts will also be available at the show. The show starts at 8 p.m. at DGBD and continues to 1 a.m. Those picking up a CD at the show will get discounted entrance to nearby club Shindig’s event that night.